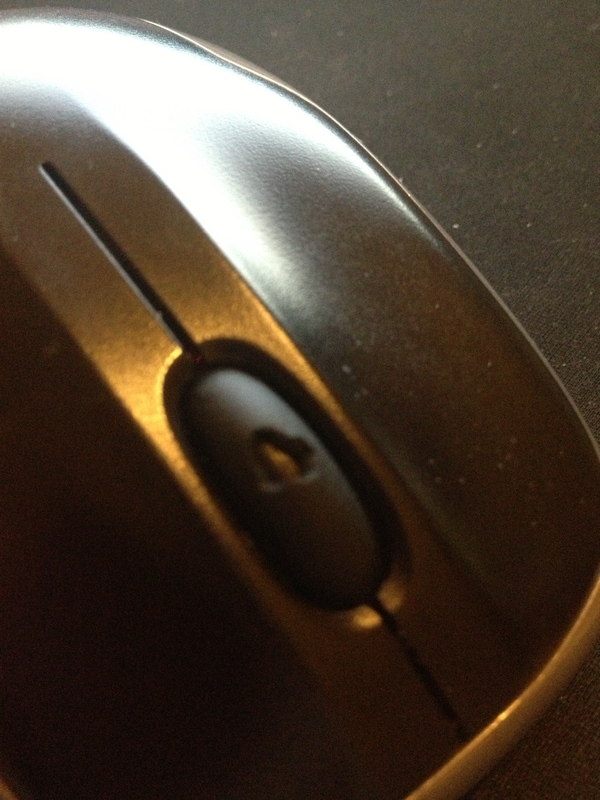 Anything near the mouse mat (aka the mouse, yes). Books, etc. 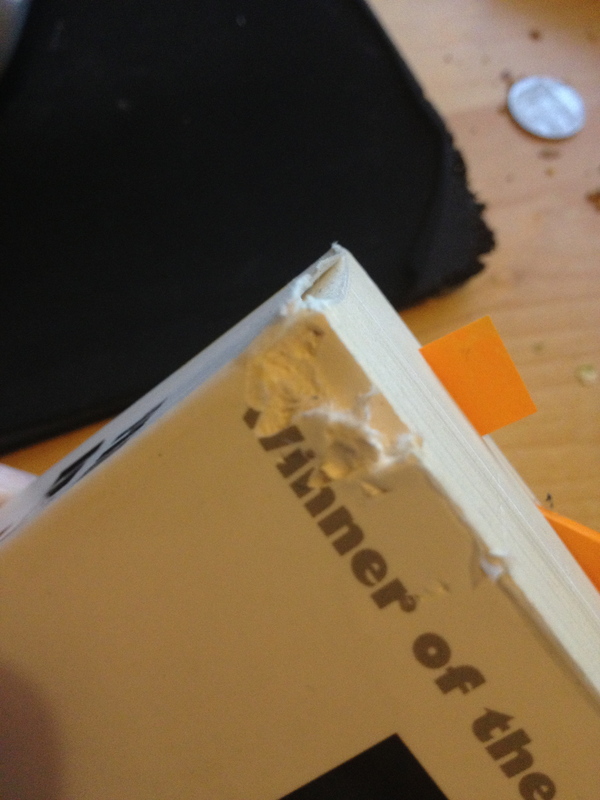 No book is complete until it has chewed corners. Anything you value: in this case, work. 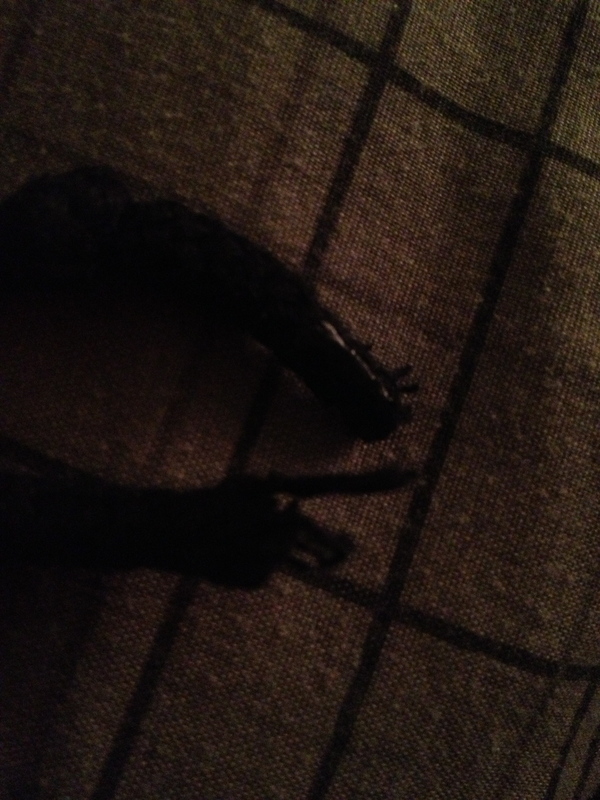 The aglets on the end of hoodies, shoes, etc., and, in fact, any clothes – period. 10. If you have something and you put it down, it automatically becomes mine. There is a bit of a moral to this post. 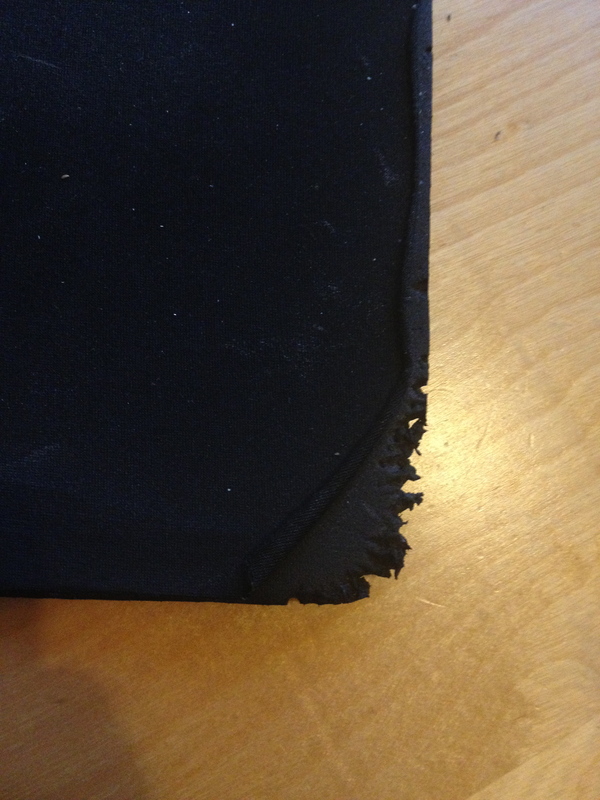 To any new parrot owners… It is not a bird’s fault if it chews something, but rather yours, for not supervising closely enough. Chewing is instinct to them, and they really don’t understand right or wrong. (O. was rather upset about his work, pictured up there with a hole straight through the middle, but with me for not watching Mavi carefully enough!) The truth is that you really have to say goodbye to attachment to material possessions, because just about everything you own is going to get a good chew at some point in its lifetime. Unfortunately, we can’t have eyes everywhere. Sigh. Ignoring the typo on this, I’m pretty privileged. 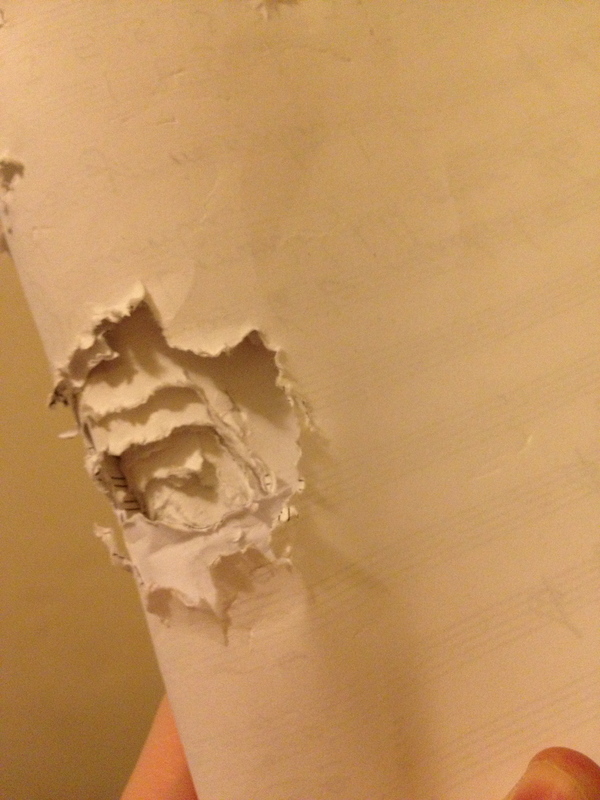 Take That, Boulez (and Other Assorted Thoughts). Feeding Parrots – The Importance of Good Diet. ouf …. I like the parrot’s creed, thanks for sharing, I still miss my childhood with the parrots! 😀 Thanks for reading… Hopefully I bring back some good memories! Thankfully Bou has no interest in the keyboard, Binki however is obsessed with pulling off the keys. I even bought her a keyboard of her own but nope, she wants my keyboard and only my keyboard. Figures… Just like the food. It’s only good if it’s on YOUR plate. Haha, aww! Ptak is the same… I think it’s because the only true interest lies in fending off human fingers… It’s like some kind of strange dance. When I bought him his own, cheap keyboard, he spent about two minutes exploring it, and was promptly back on mine! Adding to the list: a cork board on the wall, a painting, all kinds of cables and wires (conceal them!!! ), a plastic globe (yes, they chewed the screw-on top off), window blinds, any pieces of furniture that stick out, paint on the door, and, of course, our clothes, buttons, pockets etc…. 😀 I forgot blinds… And lampshades! We have a particular paper lampshade that is like catnip to them… Draws them from across the room and nothing – but nothing – will deter them from attempting to get a quick chew in. -_- I’m impressed by your globe, LOL. Here’s to keeping our keyboards as in tact as humanly possible, though! Hahaha… YES!!! Stephie and Basil ate the entire lampshade! Shredded it completely! All that was left was the wire frame! Hilarious! I’m so glad I saw this post because I’m getting two lovebirds! 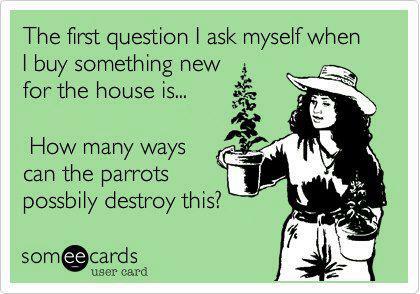 So now I’m parrot-proofing my home thanks to reading this post…. but LOL I had to warn my hubby to hide everything. Aww, that’s really exciting; I adore lovebirds! They are terribly cute. Do you know what colour mutation? 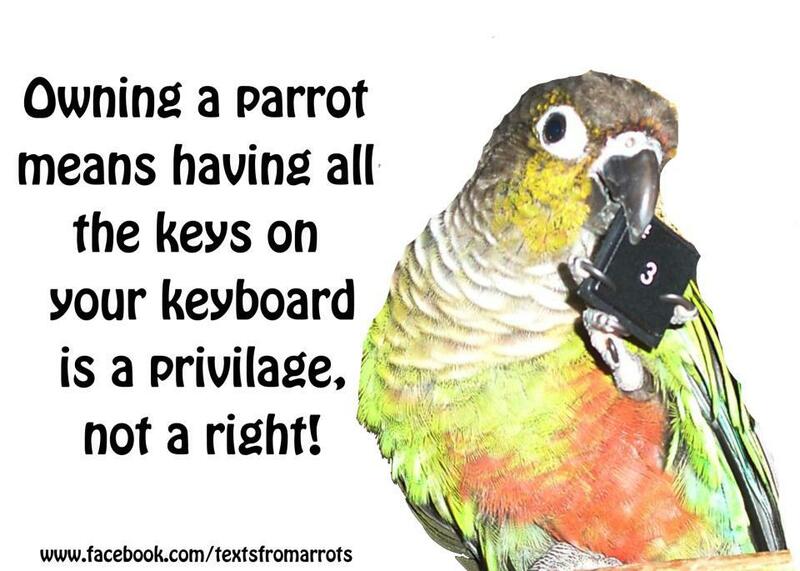 Parrot-proofing your home is the best thing you can do – for everyone, haha! Even so, they still manage to wiggle into things. I caught our senegal prising open a drawer once to get at the stuff inside. Good luck with your new feathered ones! I found Stephie in my sock drawer and in my closet. She squeezed in through a tiniest gap! Luckily didnt eat anything, maybe it was to dark inside for her to do any damage LOL. Now I make sure everything is closed tight. Hehehe. I think bird brain is a compliment! My birds have certainly outsmarted me more times than I really care to admit. 😀 I bet Mavi is great at multitasking, too, haha! 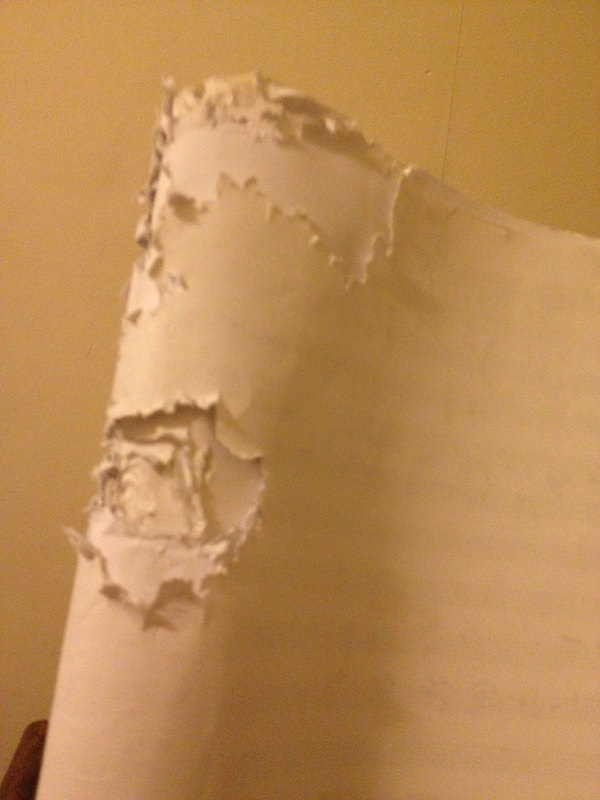 My sister had lovebrds and they chewed ALL her books! I would move my library to another room before getting these parrots LOL. Oh no, haha! 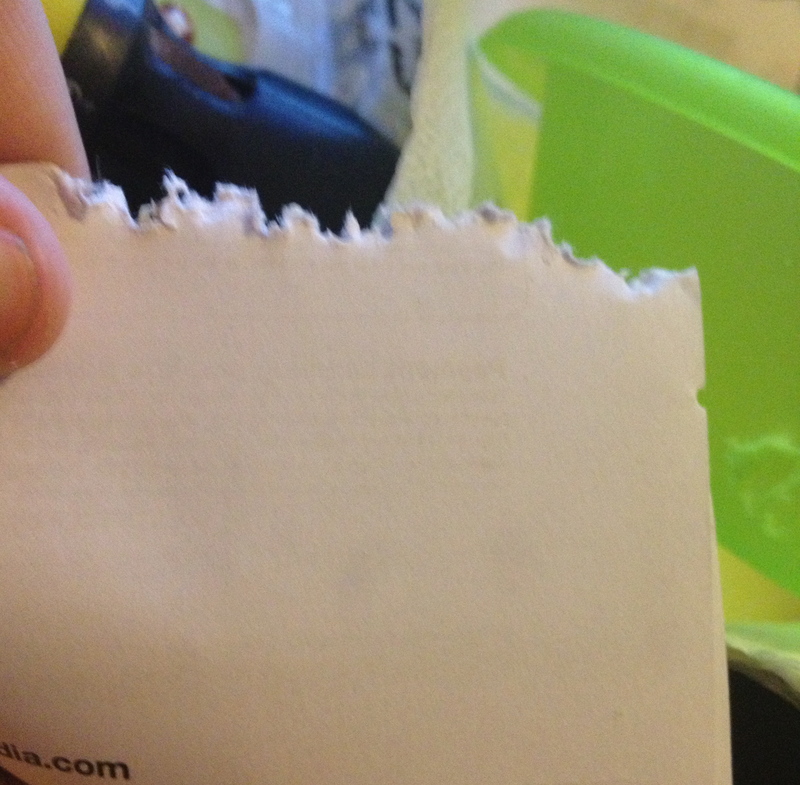 I’ve noticed they have no interest in the phone books I put in their cages to chew, though. Well.. Because you put them in their cages… Duh! Try putting them out of reach, I guarantee they will devour the entire thing LOL!!! Awwww… Yes! The vacuuming NEVER ends! And yes, they all eat like pigs!!! LOL! Oh nooo! The only reason mine’s survived is because I hide it, haha. They do have an obsession with trying to reach me whilst I’m using it!